Sober in a Nightclub: The ghost of Gloria Gaynor. 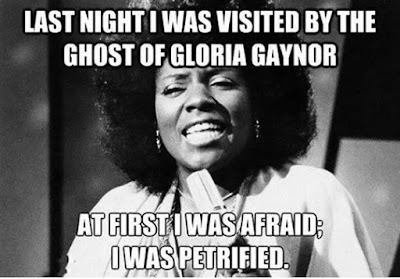 The ghost of Gloria Gaynor. Yep, it's called planning ahead.